Look at 4 pictures and find the one that doesn't belong. Look at 4 pictures and find the one that doesn't belong. This sounds easy, but some puzzles can be tricky! 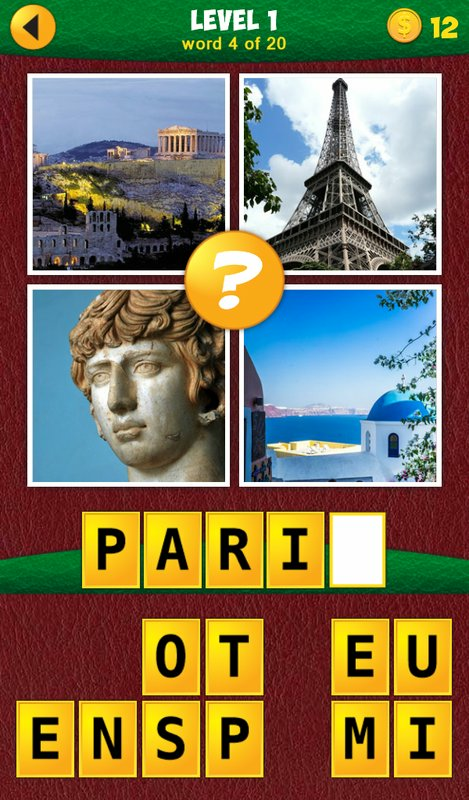 If you like quiz and word games, you'll enjoy this fantastic brain teaser. Try this simple and highly addictive game for the whole family! 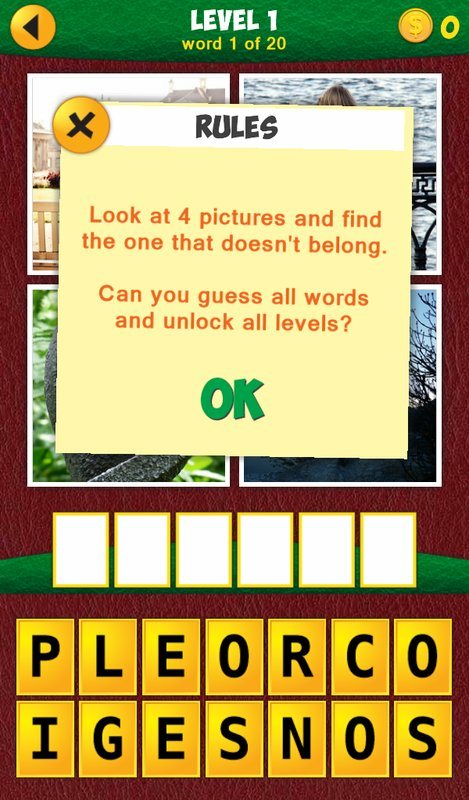 Can you guess all words and unlock all levels?